Toddler size - Length of the dress is 60 cm, waist is 54 cm, length of the sleeves are 27 cm. Size 3-5 - Length of the dress is 64 cm, waist is 54.5 cm and the length of the sleeves are 33 cm. Does not include tights or shoes. 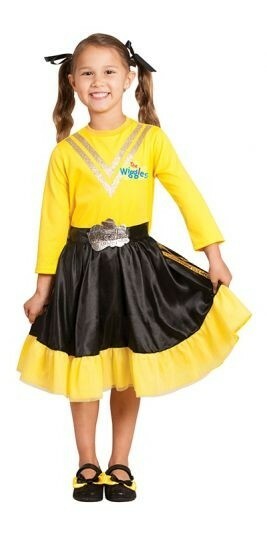 This is an officially licensed Wiggles product.